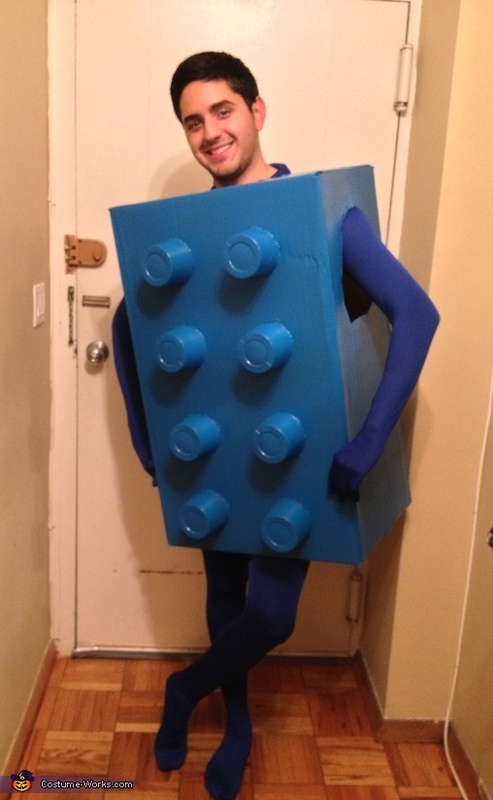 My friend Christopher was in the Blue Lego Costume. He saw a kid wearing one at a fall festival last year and thought he'd try to make me one this year. He used a cardboard box. Cut a hole out for my arms and head. Taped up the sides with packing tape. Hot glued 8 tupperware cups. Sprayed painted two layers of blue paint. He was wearing a blue bodysuit underneath to match the box.